The world is what it is, it has always been and maybe, will always be what it has always been. Just being real! The good news though is that you can at least do something, however small or how big it is. Despite the fact that we all are busy, make it part of your goal to help someone do something that they want to do...doing something actually makes a difference. However small it is, when you help someone do something, you are making the world to be a better place than you found it. And that matter may friend. It makes a difference! Everyone suffers from a personal problem at some point in their lifetime whether it's financial, emotional, or physical. Of course, some individuals seem to experience lifelong struggles while others keep them at bay. I think that helping others who are experiencing problems is the right thing to do because it instills optimism and compassion in those who receive help. It is always pays to help somebody do something that they are not able to do by themselves. If our society consistently alienated people in need, they would quickly lose faith in humanity. This loss of optimism would have a ripple effect throughout the world. Helping others in need reinforces the compassion that each person possesses. If people were turned away as soon as they experienced problems, they would slowly lose that compassion and attempt to solve their problems in anti-social ways that may increase crime. For example, instead of going to a friend for a small loan in order to put food on the table, someone without any compassion could easily mug a passerby or hold up a local gas station. Furthermore, people would feel isolated from each other if they knew that they couldn't rely on others in times of emotional or financial need. Although isolation seems like a mild consequence in comparison to armed robbery, isolation can lead to psychological problems over the long term and may also increase criminal behavior. Optimism is what keeps society functioning. Without it, people may experience a sense of hopelessness and powerlessness, which may lead to depression. Even worker productivity might suffer from a widespread loss of optimism. Depressed individuals tend to have more trouble maintaining steady employment throughout their lifetime and experience low levels of energy. These symptoms create their own sets of problems. For instance, sporadic employment may eventually lead to financial problems and potentially homelessness. The consequences of not helping an individual in need early on results in a snowball effect of mounting problems. To help an individual in need is to reinforce a sense of compassion and optimism. These qualities help to create a stable, functioning society. If those in need do not receive help, our society will deteriorate. There are not many people that are able to make it all on their own. Sometimes when you give assistance to another person you could just wind up being one of the reasons that would make them to become successful in life. Helping others can be very rewarding. Over and over again people have testified about how surprised they were to learn and discover new things just but through their acts of kindness. Try it, you’ll be surprised yourself. There is no shame in needing help. We all need some kind of assistance when things are difficult or not going as we'd like. I do not mean a hand out here and there. We are human, sometimes we just need someone sort of help to make ends meet. Helping one get back to doing what they need to do in life is not a hand out by any means. Sometimes we need encouragement, information, advice, delegation, money, food, emotional support, security, just to mention a few in order for us to be productive and attain our goals and objectives in life. If you give the hungry, homeless or unemployed man a meal today, then tomorrow he just might be employed and living in a house again. It happens all the time. People do pull themselves out of some of the worse problems of their lives; however, it does take a bit of help from time to time for them to do it successfully. Sometimes the kind of help you give may be inform of say; communal work or acting like a role model. For instance you may volunteer to help teach some kids how to play basketball or another sport. A number of those same kids grow up to go on and become college-sports players (getting their college educations paid for through scholarships) or even end up being some of the best professional-sports players of their time. There are so many other ways to help people too. Go fix a neighbor's house if you know they do not have the money to pay for the repairs themselves. This can be a neighborhood project. Helping someone has an amazing effect on you, because in some way it helps you too, it is quite rewarding. And what is more rewarding in life than know that someone or a project succeeded and all because it all began with you helping them. Sweet! Right? World is full of people who help one another in times of happiness but there are very few people who really help in times of need. I have seen many people turning their back on their fellow men, when they needed them the most. I myself have gone through such experience. I am an engineer by profession now, but my life was not like this before. I come from a poor family. My parents raised me and gave me good education. But a time came when my parents could not bear the expenses of my college. They had no choice but to want me to put my college studies on hold until they figured a way to raise my college tution. They were totally not able to pay my tution. Now, my father happens to have a lot of friends, but as I have said that many people turn their back at the time of need. My father went to many of his colleagues he thought to be close to him, so as to borrow money for my admission, but everybody refused to give him money. You see, we did not have enough resources to borrow money from the bank. That is why my father went to his childhood friend. It is said that a friend in need is a friend indeed. His childhood friend not only gave him money for my admission but also helped me to secure a scholarship. He was truly my father's true friend. On another occasion my father got involved in a false case against him. My mother did not have money to hire a lawyer. My mother asked her sister and brothers for help but no one was willing or able to help us. My father's friend, helped us till the end of case. He paid the fees for the lawyer and also took the expenses of our home on his own shoulder. Although he had his own wife and daughter to look after yet he helped us a lot. I think he is the man, who has always been beside my father on every situation, no matter how serious it was. 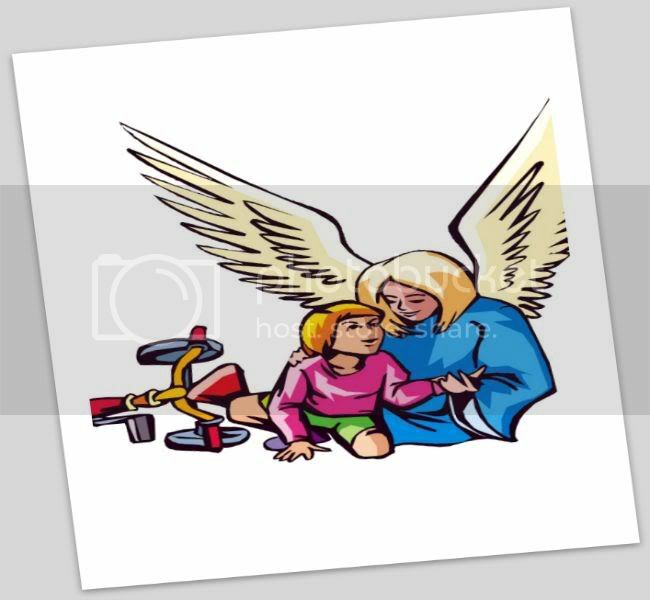 Be an Angel - help somebody do something today! What are some of the best ways to help somebody do something?